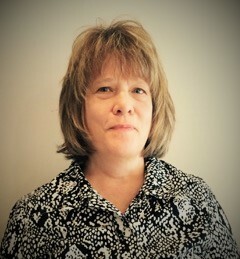 Karen Stearns, L.M.S.W. – I have over five years of experience as a psychodynamically oriented therapist. I entered clinical social work later in life, and I bring a mature understanding to working through psychological distress with my patients. I work with adults, adolescents and pre-teen children. Issues that may be addressed in treatment include trauma in childhood or as an adult, anxiety, depression, unresolved grief, relationship problems, inadequate self-esteem, and self-harming behaviors. My approach to treatment emphasizes exploration of individual patterns of relating to others, and the conscious or unconscious defenses developed throughout life that may contribute to current emotional distress. With greater self-awareness, emotional responses can be better understood and worked through, allowing for a greater ability to meet life’s challenges and live life more fully. I have a Bachelors of Science degree from Cornell University, and a Masters Degree from Wayne State School of Social Work. I have completed Advanced Training in Adult Psychodynamic Psychotherapy at the Michigan Psychoanalytic Institute.